I will most definitely come back to them before I hot anywhere else!!! Love you guys!!!!! I come from China, I can speak English ,but only a little. James helped me a lot. He is a good man. I bought a car from the shop and i am satisfied. Love,love, this place!! Wonderful car buying experience with James! Bought a 2012 rogue for my mother! He was so kind and concerned and treated us all with respect and a beautiful smile and.... a wonderful sense of humor!!! Buy you next used car here!!!!!!! 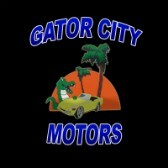 If you are vehicle shopping , Gator City Motors should be your first stop! Let me start by saying this is the best customer service experience I have had in a long time! Not just from one employee , but from every Gator City staff member I interacted with throughout the process. Thank you Bob for getting me financing that I never even knew was possible! You put me in a car I never dreamed I'd be driving! THANK YOU! A big thank you to my salesman James. You are honest and professional. Even though I was not the only customer on the lot , you made me feel like I was. And most important, you were very attentive to my vehicle needs and concerns! Thank you so much James! And last but certainly not least in the process: Tabetha. Thank you for being professional and down to earth! And by the way , Savannah said to thank you for the quarters! I am one HAPPY, HAPPY CUSTOMER!!! GATOR CITY MOTORS- thank you,thank you! You are five star!! Big shout out to them for helping us get the perfect car we needed at the perfect budget. They were extremely helpful and nice even with my million questions and stubborn attitude about spending money. So far the car is great and I know they were caring about making sure we had a reliable vehicle to travel with our small child. I recently bought a 2010 Ford Mustang for my almost 16 year old daughter. From our salesman, Matt, to everyone else, we had an extremely pleasant experience, and she is delighted with the car. This dealership and all of the folks who work there are the true definition of a down-home, friendly approach to what can otherwise be an unpleasant experience. 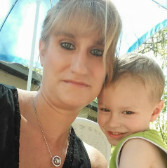 They contacted and responded to contacts from me and my daughter promptly, pleasantly, and patience. Whether the situation called for a chuckle or a serious understanding of our situation, they made it just feel right. I highly recommend Gator City Motors to anyone! You'll be glad you got to work with these friendly and reassuring people. Still can't believe that I was able to buy a truck and actually feel good about it. They made me feel like I was actually appreciated and not once did I feel pressured. I didn't think that with only $500 down I could get such a good deal but I did. They got me financed with a 1.9 percent interest rate. I will definitely be referring my friends and family! I went to 3 different dealers before coming to Gator City Motors. When I stepped out of the car, they were t rushing to me like the previous dealerships. My gf and I were able to walk around and scout out what we liked.  Once I found the perfect vehicle for me, Jansen welcomed me with a professional and helpful attitude. Not once did I feel pressured. Bob checked out my trade in while I went for a test drive. When I got back he had everything ready for me. Bob and his salesman worked with me through every process. No run around, no lies, no back and forth. I told him what I wanted and the payments I was looking for. He made it work for me even without great credit! I would refer anyone looking to purchase to visit him first. Save yourself the hours and headache and visit Gator City Motors. Talk to Bob!! I bought my first car, a 2007 Honda Civic, from them and even though i had no credit they were able to finance me and i'm very happy. Def Recommend them to anybody in need of a car! very friendly and easy to deal with. 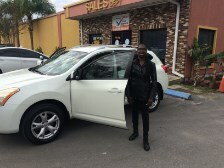 I just bought the car of my dreams at Gator City Motors! Your salesman Joe spent a lot ( I mean a lot!) of time with us while we looked at a variety of different cars - until we found "the one". Thank you Joe and thank you Gator City Motors for giving me the great deal! Thank you Bob so much for your help! I really appreciate it. Meeting me half way with things showed your loyalty & concern for your customers! Again I'm greatly appreciated! & I would love to continue doing business with you all! They gave me a chance. Some car lots only let you get the car if you pay the actual down payment. These wonderful and sweet people let me get my car, that I love so much for just $500. Of course we had arrangements for them to get the rest of their down payment which they did. And now I just be cruising in my Sonata Hyundai. The staff here is absolutely amazing and very helpful. My wife and I appreciate all the hard work that was put into helping us find the perfect car for us. I highly recommend everyone shop here for their car needs. Awesome experience! They were able to cater to me and my situation. After others told me no, Gator City Motors jumped through hurdles for me and told me yes. I have already referred a few people to this place and i know they will have a great experience as i did. I am very glad i chose to come here. They are very flexible and the inventory is amazing. I got an exceptional car! All employees are very friendly and helpful. Definitely hands down the best car buying experience i have ever had. Bought my 1994 Ford Ranger from them, excellent sales staff and mechanics. Had battery problems, but they replaced for me with a brand new one. Would definitely recommend to any one looking for a good used car or truck, as well as for repair and/or detail work. Great range of vehicles to choose from! Awesome!!!! Really worked with us and didn't just try to sell us anything ! They were completely honest and tried to help us get a car that was in our price range! Gator City Motors is a very good car dealership. They are friendly and courteous. Great experience, they did the best they could to get me in a great quality vehicle. Good prices and great customer care. Gator City Motors was awesome. Definitely treated me good with respect. I would recommend anyone who's looking to buy come to Gator City. These guys are awesome. Took great care of me. Matt and bob helped me drive home with the car i picked out. they both went out of there way to make sure i got a great deal even with my bad credit! they cared about getting me the best deal possible. the friendly staff made it feel like a home environment i would recommended them to anyone. floyd made me laugh while i was waiting. thank you everyone for everything you did for me!!!!! Everyone at Gator City was amazing. I HATE buying cars and this was the best experience I've ever had. My daughter is a UF student and I live in Illinois. Her Toyota RAV4 needed more repairs than it was worth and I dealt with the local dealership Gatorland Toyota (DO NOT GO THERE!!!) on the phone for two weeks. I even sent them a check and they jerked me around and lied for two weeks and ignored and insulted me when I got down here. Went across the street to Gator City and it was so, so awesome! Got a great trade in, great service, a great, safe, affordable car, and new friends! These people truly care about their customers! I swear I am driving from Illinois to buy my next car here. I had a great experience with Gator City Motors. Their staff is both very friendly and highly professional. They let me test drive the car alone and they were very helpful and patient with setting up the insurance contract, as I'm new in the country! I went to several different car dealers on N Main Street in Gainesville, and these guys are definitely the best for their personalized treatment. (plus they offer lifetime warranty for the engine, which is quite exceptional). My 2008 Pontiac is great and right now I'm just waiting for the definitive tag! Purchased a 08 wrangler from bob and Matt, perfect service, no bs approach. Also my first dealership purchase. Bob and Joe where great. Bob was able to get me financed on my dream Corvette. I recently purchased a vehicle with Gator City Motors and I must say it was the best experience I have had at a dealership. The customer service was amazing! They were very friendly and willing to help me and my family get into a dependable car with poor credit and made it affordable as well. I couldn't have asked for a better experience and I would recommend Gator City Motors to anyone! Gator city motors is THE best place to go hands down!! Everyone is friendly and helpful with service got a nice car from here less than a month ago.